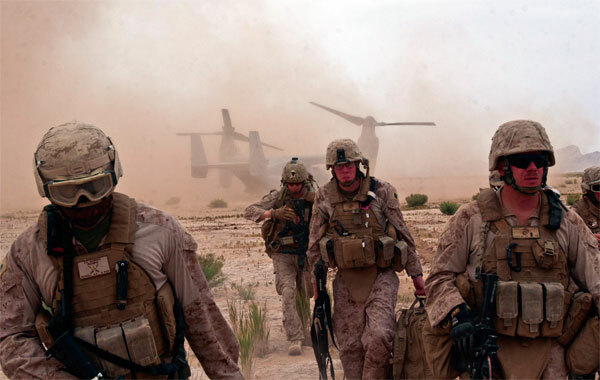 “We fight as a team, so we manage the squad as a system not a Marine as a system. Each [Marine] brings a genuine capability to the squad so the squad can fight,” explained Mark Richter, Program Manager, Marine Expeditionary Rifle Squad (MERS). PM MERS is tasked with the integration, modernisation and configuration management of everything worn, carried and consumed by the Marine and all the mobility platforms that the Marines have to operate in. The Program Office also manages the Marine Enhancement Program (MEP), which is similar to the Army Soldier Enhancement Program. Richter said, “[MEP] basically takes recommendations from Marines, industry and civilians and then every submission gets reviewed. If there is something in there that the team feels will add significant effectiveness, we fund it and buy it.” Examples of MEP initiative items that have been recently acquired include the new M16A4 grip, new flashlight and a forthcoming combat pack. The Naval Research Advisory Committee in 2007 which addressed the need to unburden the Marine identified that there were inadequate models to correctly incorporate combat effectiveness parameters. At first appearance the MC-LEAP ‘tool’ constructed to do this may appear as just another obstacle course, albeit massive. It has actually been deliberately and meticulous created based on feedback and requirement from troops. Instead of regular assault course wall, these are replaced by for example the walls encountered in Afghanistan with six foot walls that are often 18 inches thick and other features closely associated with Afghan battlefields, looking at balance, low crawling and entering confined spaces. Troops operating in it wear RFID tags for physiological status monitoring and each Marine is digitally timed as they go from one item to the next. Shooting parameters are also included, measuring their shooting skills during heavy exertion with the sensor pad recording everything real time. There are currently significant levels of collaborative research in the area of burden which PM MERS supports. Participants include the Naval Health Research Center which is undertaking a load study. The US Army Research Institute of Environmental medicine are working on a bio-mechanical variables related to lower extremity overuse injury which began in April. Current MERS Integration projects include integration of JBCP platforms for the dismounted soldier and what the infantry community need for that. There also is a lot of work on alternative power systems and body armour and pack integration work such as on the new Enhanced Combat Helmet, with 1st Battalion, 3rd Marines beginning trials with a new plate carrier in February. The MERS programme is looking at replicating the weight associated with Counter–IED equipment being added to the individual gear that Marines train with from the start of their training. The Marine Corps’s new anthropometry database was finalised in February after the completion of data capture in late September which covered 2500 Marines across the Corps. Mark Richter was speaking at WBR’s Soldier Technology US 2011.